These smart neoprene tote bags are super light brightly coloured marvels! Hand-made with perforated neoprene and colour co-ordinated climbing rope, these bags are large, practical and comfy. With a zip up neoprene pouch inside, press stud at each end and middle, all your bits and bobs can be kept hidden. 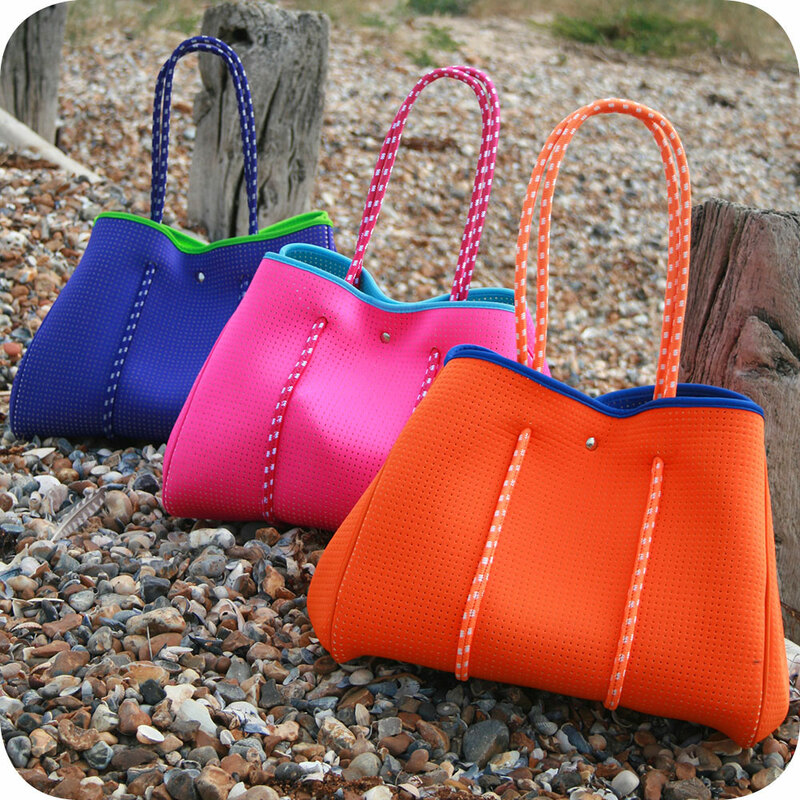 With such flexible styling options they are ideal bags for everyday use, the beach, gym or holidays. By popular demand our stylish hand-made canvas beach bags with waterproof lining return in a new zinging colour design and leather handles. An inside zip safety pocket plus external fasten zip ensures all your everyday bits and bobs are safely hidden, making them ideal for festivals, the seaside, travel or just summertime shopping.